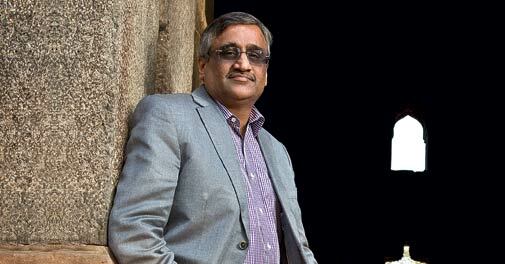 Kishore Biyani met BT Editor Chaitanya Kalbag on May 23 for a candid conversation in which the retail tycoon explained why he is selling parts of his empire. The sale of the Future Capital stake was announced on June 4. Rahul Oberoi dispels nine common myths about investing in this market. When Biyani, a true-blue entrepreneur who built a retail empire, had to sell a controlling stake in his flagship Pantaloon Retail store chain to the Aditya Birla Group, it must have been a very tough choice to make. The other deal is that of Ybrant Digital Limited, an Indian digital marketing services company, promoted by its Chairman and CEO Suresh Reddy. Indian companies too can draw lessons from these two books that celebrate frugal innovation. Sanjeev Mohanty, MD, Benetton India shares his leadership style. Latest government figures show India's industrial output for April at a meagre 0.1 per cent. Despite high hopes that RBI could cut interest rates again, it alone cannot restore confidence in India's economy, writes Shweta Punj. India's growth story has myriad aspects. Your cover story, Desi Boys (June 10) highlights the crucial point that if India's economy has gathered strength, it is not merely due to liberalisation and the entry of foreign players. Intel's idea behind Ultrabooks was to provide a device which is as convenient to carry around as a tablet while being able to do much more. In a globalised business world, understanding other cultures is essential. Explicit cultures define every aspect of what needs to be done, implicit ones prefer not to spell out everything. Task-oriented ones prioritise tasks and goals; relationship-oriented ones do not. Perhaps one of the biggest deterrents to whistleblowing about corruption in Indian companies is the fact that current laws do not guarantee protection of the whistle-blower's identity. White paper on black money a letdown? Samsung SIII vs iPhone: Which one should you buy?